Ever gone on a really nice stroll/run/hike and liked it so much you did it again? Perhaps you would be willing to share this information with anyone and everyone. Hike #1-The NOVA Annandale Tree Walk–You don’t even have to leave campus! 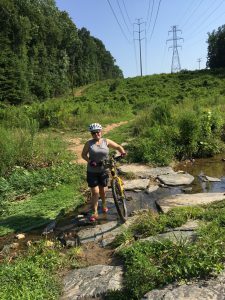 Biking-beyond the W & OD Trail and the CCT, I like the Wakefield Mtn Bike trail system. I can’t do them all but I can do the easy ones!